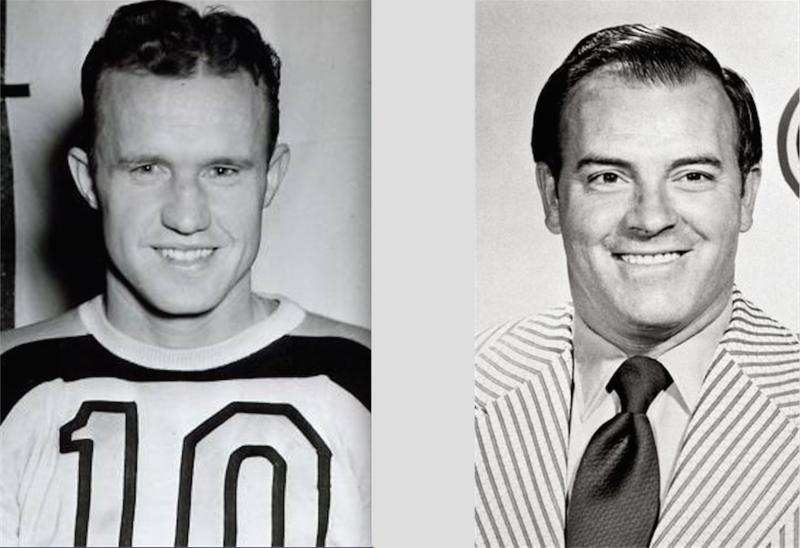 Scotty Bowman and … the Bruins? I don’t have a contact file filled with famous names. There are a few. Some I’ve known for a long time; others only recently. Still, it’s always exciting for me whenever I hear from any of them. The first time I heard from Scotty Bowman was about five years ago. Phil Pritchard from the Hockey Hall of Fame emailed me to say that Mr. Bowman had pointed out an error I had made in his coaching record for my book Stanley Cup: 120 Years of Hockey Supremacy. It was basically little more than a typo, but I was horrified! Mistakes happen, but this one was pretty sloppy and, well, it was Scotty Bowman, the winningest coach in NHL history. He certainly had a reputation for being pretty tough with some pretty talented hockey players. How was he going to treat me? I wrote a very apologetic note and got a very nice reply. That was about as far as it went, until a year or so later when I was deeply into working on Art Ross: The Hockey Legend Who Built the Bruins. I had just read a biography of Boston Bruins legend Dit Clapper by Stewart Richardson and Richard LeBlanc, which mentioned that Bowman and Clapper had been close when Bowman was starting out as a coach in Peterborough. So, I wrote again and asked Mr. Bowman if he’d ever heard any interesting stories from Dit Clapper about Art Ross. Boston’s Bill Cowley was the childhood hero of future Canadiens coach Scotty Bowman. That evening, Scotty called me at home. (Very exciting!) No, he said, he hadn’t heard any stories from Dit, but when he was working with Lynn Patrick for the St. Louis Blues, Patrick had told him some stories that he was happy to share. I was thrilled to be able to include them in the book. Scotty later read and enjoyed an advanced copy and provided a very nice “blurb” for the back cover. He’s done the same for my upcoming book The Toronto Maple Leafs: The Complete Oral History. Scotty Bowman celebrated his 84th birthday earlier this week. Dave Stubbs wrote a very entertaining piece with Scotty on the NHL web site for a Q&A feature called Five Questions With… After I read it, I sent Scotty a short email wishing him a happy birthday and saying that I had enjoyed the answer he gave saying that Art Ross was the one hockey person from any era he would like to spend some time with. WOW! You have spoken to Scotty Bowman!! I’m totally impressed…he was one of the first hockey people I knew & followed his career. And thank you for a great blog Eric! As the expression goes, “Who Knew?” And how interesting that there were some parallels for me as I read your piece. I think you know that I, as a kid, used to don a heavy coat, go out to my dad’s DeSoto, and tune the radio in to Danny Gallivan for the Canadien’s play-by-play. Even today a Montreal sweater with its CHC hangs in my closet. Yes, they may have been the “enemy,” but no one can deny that they have been one of the class acts of hockey.